3,013 sqft. 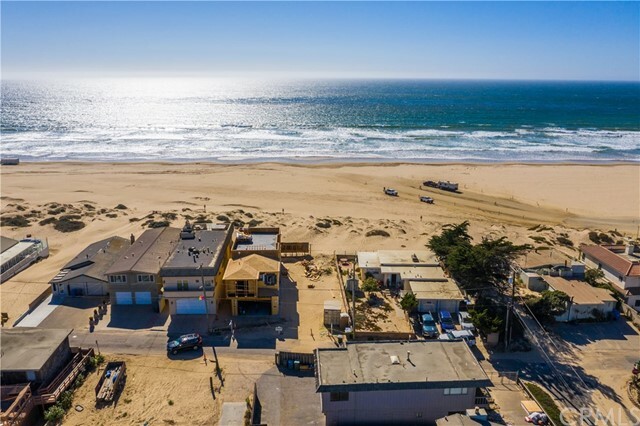 lot smack dab on the beach in Oceano! This lot has been excavated and has fully permitted building plans. Bring your builder and start construction on your dream beach home today. Step right onto the sand from your property and enjoy all the amenities the Oceano Dunes has to offer. Oceano is one of California's rare beaches that allows you to drive on the sand, ATV or Buggy around on the Dunes and bonfire at night. This parcel is conveniently located off the Highway 1, only 1.8 miles from the Pismo Golf Course and State Park, 2 miles from the famous Monarch Grove Butterfly Trails and 3 miles from Downtown Pismo Beach.